Mike and I met at work and became friends first, and then something more developed a little later. We both had small children when we met, so we wanted to make sure we were going to work out before introducing each to our kids, and then our kids to each other. After about 6 months, we did decide to meet the kids and get them together and everyone got along really well! Since both of us were busy with our own kids and their schedules, marriage wasn't really in the equation until 8 years down the road. We went to Las Vegas in October of last year, and Mike decided we should go back to the Venetian for the gondola ride, which is something we did on our 1st trip (and our 1st trip together anywhere) to Vegas. While out on the gondola, with the gondolier singing to us, he pulled out the ring and proposed, and of course I said yes! We wanted something that was simple and that we really didn't have to plan a lot of. Since this was both of our 2nd weddings, we didn't want a lot of fanfare, but wanted something beautiful, with our friends and family there. 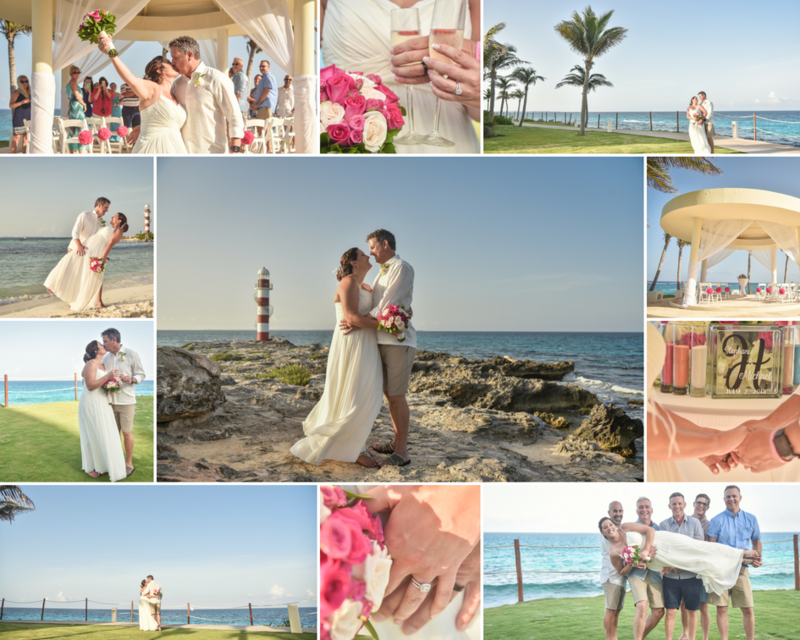 Love to Travel helped us narrow down our choices to the resorts that were really the right pick for us, and then got us in touch with the wedding coordinator there to make sure everything was taken care of. I didn't have to do much planning, which is exactly what I wanted! Fabulous!! They were incredibly knowledgable about the resort and answered any email I sent almost immediately. They helped with any questions I had and made the entire booking process easy and seamless! : I would definitely use Kim and her team for an anniversary trip in the future, and recommend them for anyone looking to book their wedding! They really know all the resorts and can get a feel for what kind of destination you are looking for and then cater it to exactly what you want. It was super easy for us and our guests to book through them and I loved the specialized attention we got from them. The resort was absolutely beautiful and the staff was super kind and friendly, and always willing to help. We will definitely be going back to Hyatt Ziva Cancun!